The crime rates keep rising making the job harder for law enforcement agents. It requires constant vigilance, proactiveness and alertness to collect intelligence on criminals and crack down on them. Such covert operations require highly advanced tools and the help of GPS technology. 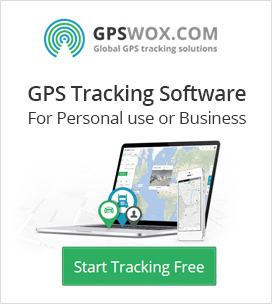 GPS tracking is a safe and accurate tool that has multiple applications in the field of law enforcement, fleet management, criminal investigation, officer tracking, suspect tracking and general tracking purposes. As each day goes by large cities especially those that are part of urban areas have a growing waste management problem. It is important to ensure that all the waste is efficiently removed from the areas as fast as possible as it caused a lot of damage to the environment and the surroundings. The muncipality system is now taking various steps to control this growing problem such as an increase in garbage trucks to remove garbage from different parts of the country. If at any point there is a break in this system of waste management there would be a greater problem to deal with which could have drastic effects on the environment, the biggest being the bad garbage odor. In the earthmoving industry, which consists of construction and industrial tractors, GPS tracking plays a major role in streamlining and simplifying operations. For this very reason, heavy equipment manufacturers have long been collaborating with GPS tracking solution system manufacturers to develop customized tracking solutions that can help make the company make decisions based on the analysis of GPS position data of their equipment. Due to the advanced nature of these technological collaborations, highly customized and highly accurate positioning and data analysis technology has been developed for construction tracker solutions over the past decade or so. The trailer-to-tractor ratio can be greatly enhanced increasing the productivity and efficiency at the same time. Each business strives to improve their productivity and tracking helps it. With the help of GPS, the cargo can always be tracked and therefore, its arrival and departure times all recorded. This allows the company to keep a track of their fleet and at the same time ensure that the officials are aware of the location in real time.